Small piano accordions really should not be overlooked, especially if you want to play in folk sessions and want to carry the thing around. 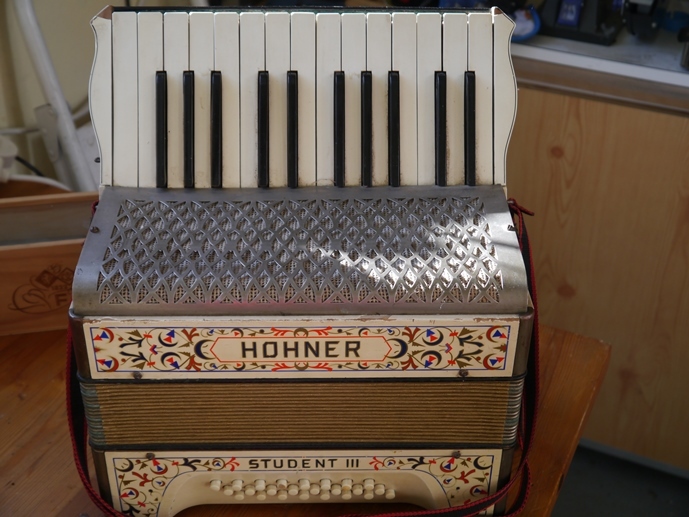 The Hohner Student III has 24 bass and 25 keys. I had two of these little instruments and completed a complete rebuild of one of them. This entailed dismantling the keyboard, replacing the messed up finish on the keyboard, re-facing all the pallets, then overhauling the reeds (clean, revalve, tune etc), sorting out the LH mechanism, fixing the bellows and so on.